The BEST Cookies You'll Ever Have! > Click here to view all of our delicious products! This will be your only www.shipacookie.com password. We bake the "old fashioned" way...from scratch! Amazing ingredients like sweet creamery butter, real vanilla, and fresh cracked eggs help tell the story. 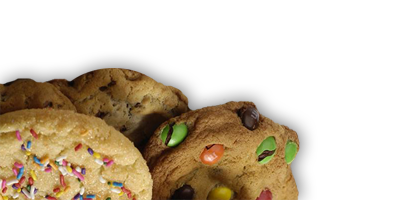 We use no preservatives, and, our cookies are certified kosher and are under supervision by the AKC (Atlanta Kosher Commission). With recipes that have been handed down, and have been perfected since 1981, our cookies are the best cookies available anywhere! > Start Shopping! Copyright © 2016 Ali's Cookies. All Rights Reserved.